Hold the phone, there’s a new culprit in town. Trouble in paradise as Hae Soo and Jae Yul enters the broadcasting studio post argument about breaking up despite Jae Yul’s threats at “killing” Hae Soo if she ever mentions it again. The two exchange feisty remarks about a movie recommendations, but make up per usual during the break, culminating in hand holding through the rest of the show. Boy do these two move on quick. 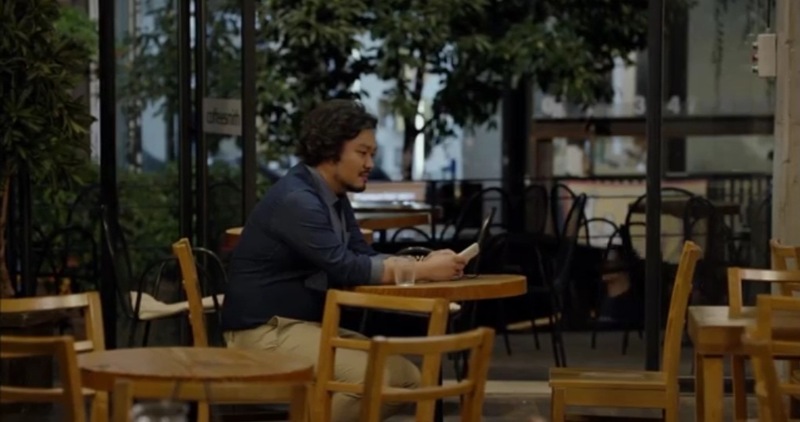 While these two were reconciling, Tae Yong is meeting with Jae Yul’s childhood love (the one whose window he through a rock at earlier in the show) to find out more details. She recounts what happened that night and says Jae Yul behaved like there was someone else next to him. Tae Yong covers up the story by telling her that Jae Yul likes to wear suits so the yellow shirt wearing guy she saw was not Jae Yul. Dong Min rushes to meet up with PD Choi and Attorney Kang, the man who was involved with the Jae Bum case, but Attorney Kang refuses to divulge any further information. PD Choi does mention that Attorney Kang said the real culprit must be someone else, and not Jae Bum or Jae Yul. This leaves Dong Min and PD Choi completely puzzled. The lovebirds go grocery shopping, the must do of all kdrama couples. Hae Soo pretends to ask Jae Yul for his opinions on food, but she just picks whatever he doesn’t want [cue eye roll]. She rewards him with a kiss which totally embarrasses Jae Yul, and the two rides off into the sunset… erm I mean the check out line. Ok, hold the horses, because the lovebirds are about to get into another argument about… children? Jae Yul expresses that he would like to have three kids so he can experience the joy of raising children since he did not have a father. Hae Soo tells him that that’s selfish because it would be unrealistic for a professional woman. Jae Yul continues on to say that he will have somewhere separate to work and when he comes home, his wife will have dinner ready BUT he will wash the dishes. Hae Soo quickly interrupts to say that the wife will then look at him with full regret as she is carrying three children on her back and in her arms, but Jae Yul simply replies that they will have children every three years instead. Hae Soo still shakes her head and tells him she cannot be his wife because she doesn’t want to give birth all the way until she is forty! Hahahaa. Jae Yul leans forward and numbers men with different professions and how they are unsuitable for her, resulting in him being the perfect one. She brushes him aside and threatens to rent his room out to someone even cooler, but he says that will be pretty difficult. So as Jae Yul walks away Hae Soo picks up the water hose and sprays water all over him. Soo Kwang comes home just in time to join their water fight and it’s laughter all around while Twin Forks play in the background. Finally, the day has come. Jae Yul is all packed up and ready to go. Soo Kwang sends him to his car and shows him a message from So Nyeo asking to date exclusively. Soo Kwang inquires Jae Yul on how to become the stronger one in the relationship and Jae Yul tells him to just think “I love her so I’m happy.” Soo Kwang runs off happily to meet So Nyeo, I presume. Meanwhile Dong Min goes to Jae Yul’s room and investigates using Hae Soo’s tips to discover the bathroom secret. And where is Hae Soo? Well, she’s been hiding in Jae Yul’s backseat waiting for him with these phone messages about what he should do after he moves out. And they are: 1. meet with Hae Soo, 2. eat, 3. sleep in the tub not the chair. Poor Hae Soo gets all teary eyed (hello, this is why you should get married!). Jae Yul creeps behind Hae Soo for a little bit and then starts to drive off when he suddenly sees Kang Woo biking in front of him! Jae Yul swerves and almost hits Hae Soo, but changes direction just in time for him to hit the wall. Andwe!!!! Jae Bum has hatched yet another plan. He intends to fool everyone into thinking the counseling sessions from Dong Min has changed him. He calls his mom to tell her he misses her, and then tells another inmate that he still intend to stab his brother upon his release, but this time he will do it in front of Dong Min. The reason for this is to get Dong Min admitted as a witness in court so he can spill the beans on what he heard during the amytal session. 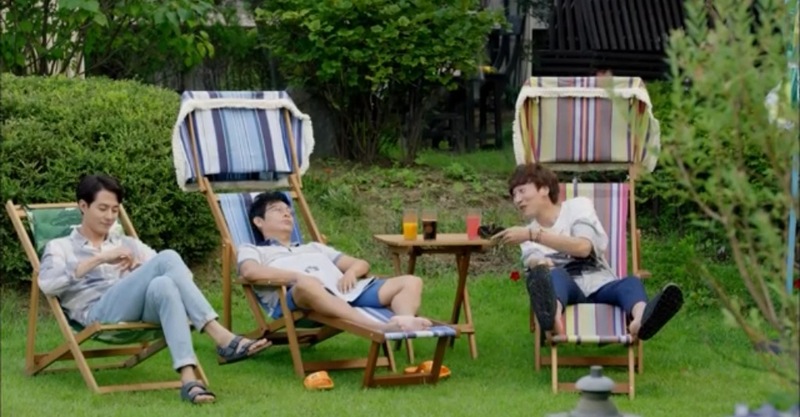 Tae Yong shows up at Jae Yul’s house and bugs him to call up Kang Woo. Jae Yul dials the number and talks to Kang Woo, but all Tae Yong can hear is the automated message saying the number is nonexistent. A teary Tae Yong quickly the apartment and weeps to him quietly outside the door. PD Choi turns out to be a good guy? Quite possibly! He finally got the attorney to open up about the case by waiting outside the attorney’s door for days. Attorney Kang tells Choi Ho and Dong Min that the judge and prosecutor at the time rushed the job and missed some important details. He says that the true culprit is the person who started the fire because the step father died from suffocation, not from the knife cut. And who is the one that started the fire? THE MOM. DUNG DUNG DUNGGGGG. Hae Soo visits Jae Yul at night, but he is busy writing away and requests for 30 minutes to finish up his work. She starts to read a book but falls asleep, and when she wakes two hours have already past. Jae Yul is not done, so Hae Soo gets up to leave. She reassures him that she is not mad at him at all. After she leaves, Jae Yul suddenly gets up and runs after her, but she already got in a taxi. So what does Jae Yul do? He visits Hae Soo at the hospital the next day! Surprise! And they go home together. On the way home, Jae Yul casually tells Hae Soo that, you know, they should get married. For real.